The best post-apocalyptic survival game of the generation, that innovates in terms of both its varied gameplay mechanics and its incisive storytelling. On my journey aboard the Aurora, I encounter pockets of humanity that have already lost hope. But on this train, beside my friends and family, there’s still hope yet. Exodus isn’t content to just be one kind of first-person shooter. After an open first half focused on survival and exploration, the latter portion plays much more like its linear predecessors, to mixed results. The final two of Exodus’ four major locations suffer from their own particular issues, as well as more exasperating versions of issues that pop up all throughout the rest of the game. 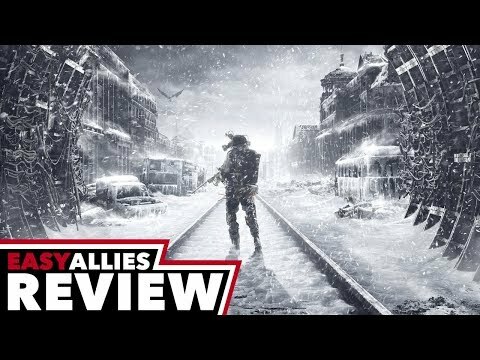 Metro Exodus is a tour-de-force in apocalyptic exploration. It offers a rich, evolving world, brought to life with stunning visuals, immersive sound and ghastly creatures. These thrills and chills are irritatingly tempered with menial tasks, poor voice acting, dull stealth and a soulless hero, all of which prevent Metro Exodus from achieving its true potential. Behind these grievances, however, lies a thrilling adventure for anyone who dares board The Aurora. Just prepare to get your ticket punched. Turning to open-world without sacrifying its identity, Metro Exodus is a succesful odyssey by 4A Games.